The following is a copy of the Licence Agreement for the Med+info Software. It is provided for your convenience. You may also download a copy of the agreement by clicking here. This Licence is between “you” as Licensee and MEDICINE INFORMATION SYSTEMS (2012) LIMITED as Licensor (“us”, “our” or “we” according to the context). A. We are the exclusive owner of the Software (defined below). B. The Software generates concise, easy-to-read medicine information leaflets to assist you to comply with legislative requirements relating to dispensing medication. C. You wish to be licensed to use the Software under the terms and conditions set out below. This Licence comes into effect when you pay us the Fee (defined below). By subscribing to the Software and paying the Fee, you accept the terms of this License as varied from time to time. “use” means utilisation of the Software for viewing and printing medicine information leaflets. 2.1 Upon payment of the Fee and installation of the Software, we grant, and you accept, one non-transferable non-exclusive New Zealand or Australian licence to use one copy of the Software at one Site and not otherwise. 2.2 The rights granted are personal to you and you may not assign or transfer this Licence or any of its rights or obligations contained in this Licence without our prior consent. 2.3 You acknowledge that the Data and the information leaflets generated by the Software are not intended to replace the personal advice of doctors, pharmacists and other health professionals. 2.4 You acknowledge that we are the exclusive owner of the Software and Data, and all rights, title and interest in the Software and Data shall remain with us. 3.1 The Licence for you to use and to continue to use the Software is subject to you having paid and continuing to pay our monthly or annual subscription fee (as varied from time to time by us in our sole discretion) to us. 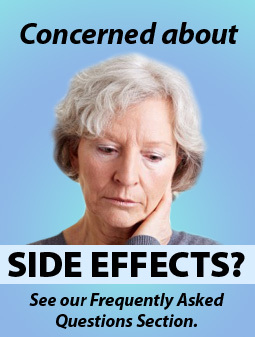 (a) Not to use the medicine information leaflets for making prescribing decisions. (b) To prompt Customers to read the medicine information leaflets. (c) Not to copy (other than for normal System operation and permitted use of the Software), reproduce, translate, adapt, vary or modify the Software or Data, nor to communicate the Software or Data to any third party. (d) To adequately supervise and control use of the Software and Data in accordance with the terms of this Licence. (e) To replace the current version of the Software with any updated version immediately upon receipt of advice from us that an updated version of the Software is available for download or installation. (f) To reproduce and include our copyright notice on all or any information sheets, whether in whole or in part, or in any form. (g) Not to permit any third person to examine, repair or in any way alter the Software or Data without our prior written consent. You indemnify us for all our costs of rectifying the Software or Data should any loss be caused as a result of any interference with the Software or Data by you or any third party given access to the Software or Data by you. (h) To comply at all times with the Privacy Act 1993. (i) Not to use or permit the use or publication of the Software or the Data on the internet in anyway what so ever. (j) To ensure that any accompanying material in relation to any medicine is provided with and not replaced by any medicine information leaflet. 5.1 Either you or we may terminate this Licence on ONE (1) month’s written notice. 5.2 Where you breach a term of this Licence, the Licence shall terminate immediately and you will have no entitlement to a refund of any part of any subscription fee prepaid. 5.3 On termination of this Licence under clauses 5.1 and 5.2, you must immediately cease using the Software. 6.1 We undertake to supply regular updates to the Software to you. 7.1 We are not liable to you for any loss or damage whatsoever or howsoever caused arising directly or indirectly in connection with this Licence, the Software, the Data, or their use or any other application. 7.2 Notwithstanding the generality of clause 7.1 above, we are not liable for any consequential loss or damage which may arise in respect of the Software, the Data, their use, the System or any other equipment or property, or for loss of profit, business, revenue, goodwill or anticipated savings. 7.3 The exclusions of liability referred to in clauses 7.1 and 7.2 above apply to liability in contract and/or in tort and/or under the Fair Trading Act 1986. If any limitation or provision contained in this Licence is held to be invalid for any reason and we become Iiable for loss or damage that would otherwise have been excluded, such liability is limited to the amount of the then current annual Fee. 8.1 You acknowledge that any and all of the trademarks, trade names, copyrights, patents and other intellectual property rights used or embodied in or in connection with the Software are and remain our sole property. You agree that you will not, during or at any time after the expiry or termination of this Licence, in any way question or dispute our ownership of any such rights. 8.2 If new inventions, designs or processes evolve in the performance of or as a result of this Licence, you agree that such rights are our property unless we otherwise agreed in writing. You agree to transfer (and procure that any person within your control transfers) such rights to us at our request but at our expense. (c) this Licence supersedes all prior communications between you and us including oral or written proposals.